Lu Wang graduated from Renmin University School of Business International MBA program in June 2012. After three years dealing with endless foreign trademark applications, Lu Wang said farewell to her “stable but dry” job at a respectable firm in Beijing and started looking for an MBA. She didn’t have to look far for one that met her needs! 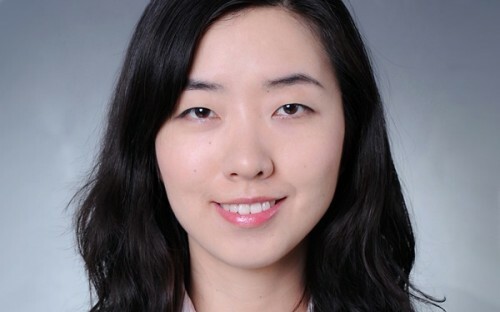 Determined to stay in the Chinese capital where she came as an 18-year-old undergraduate student, Wang, 29, was admitted to Beijing's prestigious Renmin University School of Business as one of 260 full-time MBA students in its class of 2010. Wang studied her Bachelors degree in Economics at the China Youth University For Political Science, before working as a trademark specialist at China Science Patent & Trademark Agent Ltd. Keen to transition into a job more closely related to economics and finance, Wang decided it was time to go back to school for a career boost. Unlike many of her compatriots, Wang opted against the idea of studying overseas. “I didn’t fancy going abroad,” says the San Menxia-native, who was already married at the time. “The Chinese economy is one of the most lively ones in the world, so what’s the point of going abroad to study when you know you will come back afterwards?" “If you want to gain the most practical knowledge of doing business locally in China, to me it’s a no-brainer [to study a China-based MBA program],” she says. Also citing family commitments and financial reasons as key reasons for her decision, Wang left her well-paid job and used her life savings to pay for the two-year intensive MBA run in Beijing’s vibrant Haidian district. It proved to be a successful investment: Wang soon secured a role at Mercedes-Benz Auto Finance as a junior business officer upon graduation in June 2012, responsible for business development in the Beijing area. Looking back, Wang credits her MBA degree and “substantial” contacts she made during her MBA as the main reasons she got the job. “In the short-term, the contacts I was able to make during the two years of study were the most beneficial,” says Wang, who was frequently impressed and inspired by her classmates’ ability to “Quickly grow new business ideas into something sustainable”. But the job-searching process wasn’t exactly straightforward. Although China is now the second largest economy in the world, the country’s embedded social prejudice against childless women in their late twenties was a disadvantage in her attempt to land a decent job. “If I had gone out to look for similar jobs that I have now without a MBA, I probably wouldn’t have had any luck even with an economics and finance background. The Renmin University MBA helps my CV to stand out,” Wang says, explaining the priority list of a Chinese HR manager when selecting CVs: MBA male; MBA female; undergraduate male then undergraduate female. To survive in China’s extremely competitive job market, Wang recommends that MBA candidates make a structured career plan even before starting their job applications. Her advice to those considering a domestic MBA program in China is simply: “Do it! The Chinese business sphere is now livelier than ever, so it is the perfect timing." “And the western business model may not apply to the present Chinese economic situation very well” she adds. Read other MBA China or MBA Asia stories or connect with MBAs in China by using the BusinessBecause People Finder tool! Having interviewed many MBAs who graduated in China and are now moved to a better role, I have to say I agree with Wang here saying perhaps it is a quicker, more economical way of climbing your career ladder - if you KNOW you are returning to China after your studies.